Minister for Defence Timoci Natuva. A high-powered Defence delegation will leave on Monday to visit our peacekeepers in the Middle-East and South Sudan. 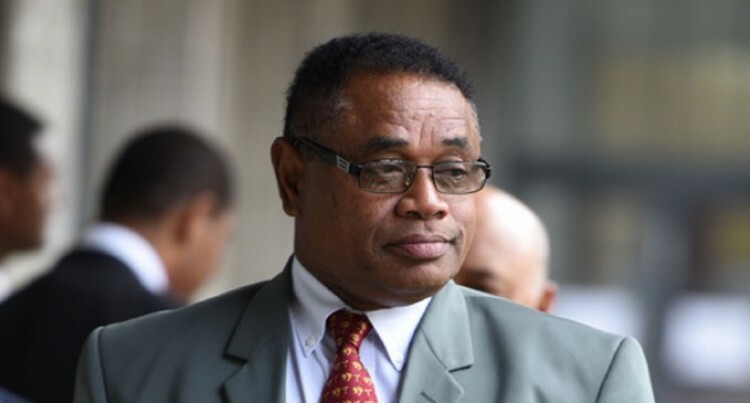 The delegation will be led by Minister for Defence Timoci Natuva. Other members are Commissioner of Police Ben Groenewald and Land Force Commander for the Republic of Fiji Military Forces, Colonel Sitiveni Qiliho. This is the first time the minister is undertaking an annual tour. Previously it used to be bi-annual. The delegation will first visit the Office of the United Nations Department of Peacekeeping Operations in New York. It will then head for the Headquarters of Multinational Force and Observers in Rome. The tour will include visits to Southern Lebanon, Israel, Sinai, Iraq, Golan Heights and South Sudan. The delegation is expected back in the country on August 4, 2015. Meanwhile, the RFMF Commander Brigadier-General Mosese Tikoitoga will be accompanying Prime Minister Voreqe Bainimarama on his state visit to China. Mr Bainimarama will be engaged in bilateral trade and aid talks. A major item on the agenda is discussion about a new naval base for the Fijian Navy. Two possible sites have already been identified. It is understood one is in Momi, Nadi, and the other between Suva and Sigatoka.